The unity of opposites is the magic key to understanding the Universe. All matter and patterns exist relative to each other. Without any one, no other can exist. 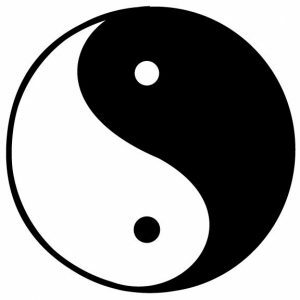 Examples include Yin vs. Yang, positive vs. negative, interior vs. exterior, male vs. female, rigid vs. pliable, honor vs. disgrace, clockwise vs. counterclockwise, with vs. without, tangible vs. intangible, life vs. death, light vs. shade, dynamic vs. static, strong vs. weak, noble vs. humble, rich vs. poor, weal vs. woe, merit vs. fault, gain vs. loss, advance vs. retreat, pro vs. con, big vs. small, up vs. down, more vs. less, front vs. rear, true vs. false, good vs. bad, beauty vs. ugliness, fragrant vs. stench, mortal vs. immortal, Buddha vs. demon, fairy vs. ghost, material vs. psychic, heaven vs. hell, and fairy land vs. mortal world. They each rely on the other for their existence. Just as a sheet of paper has a front side and a back side, there would be no front side without the back side. The obverse side depends on the existence of the reverse side and vice versa. Nevertheless, the principle of the unity of opposites is unable to explain all phenomena because everything has an exception. Even the generality contains particularity. Apart from the male and female is the neuter. The critical point between quantitative and qualitative changes does not follow the principle of the unity of opposites. Rather, it is unique. According to the Holy Bible and the Koran, God Jesus and Allah are the creators of all existence. Undoubtedly, they are the Taiji in Chinese Taoism. Though they have different names, they are identical in nature. The Greatest Creator is Taiji and Taiji is the Greatest Creator. The “Wuji” produced Taiji which then generated “bipolarity”, and everything in the Universe comes from this “bipolarity”. The two sides of bipolarity are the unity of opposites. Though it comes from Taiji, the latter is unique and exclusive. It is not the unity of opposites. As a result, there is only one Greatest Creator who does not have an opposite. The Greatest Creator is Taiji, the energy cluster with consciousness. The energy is amorphous and can take any form. When it goes into a person’s body, it takes on human form. When it enters a flower or other plant, it becomes that flower or plant. When it flows into rivers, it becomes liquid, when it goes into a stone, it becomes solid, and when it reaches the atmosphere, it becomes gaseous. From the Albert Einstein’s relativity equation, E=MC², matter is formed by following the formula M=E/C², in which C represents the constant relativistic speed while E stands for varying amounts of energy. It means that energy is the only factor that forms matter. Without energy, there is no matter, which means no sun, moon, stars, stones, mountains, rivers, flowers, trees, birds, fish, animals, nor even people. When matter seems to disappear, it either changes its form or becomes energy, and because the total amount of energy in the Universe is constant, it neither increases nor decreases. So when a tree, an animal, a house, or a tank of gas is burned, does their substance no longer exist? The answer is no. They become transformed into other matter plus some energy. A seed or an egg grows and takes shape by relying on energy. Nothing would exist without energy. Such is the basic principle of the birth of the Universe. We are completely wrong if we believe that The Greatest Creator has some specific form. the Greatest Creator is amorphous because it is the energy cluster and can take any form. This is to say that everything in the Universe is The Greatest Creator. The Greatest Creator is unique and exclusive, and the Greatest Creator is also neutral. There are men and women and male and female animals and plants, so what of The Greatest Creator? We can never say The Greatest Creator is male or female because if that were so, then there would have to be a Greatest Creator of the opposite gender to be the opposite, which would dampen the uniqueness and exclusivity of the Greatest Creator. Nor can we understand the Greatest Creator by using the “bipolarity” in the principle of the unity of opposites. 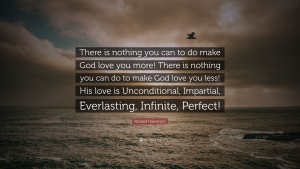 That is to say, we can not define the Greatest Creator as true or false, good or evil, or beautiful or ugly, because if we define the Greatest Creator as good, then there would have to be an evil and opposite Greatest Creator as the opposite of the good Greatest Creator, which would again dampen the uniqueness and exclusivity of the Greatest Creator. Everything, including animals, humans, Buddha, and God, has its respective nature. Then, of what nature is the Greatest Creator? The Greatest Creator is without nature, which means the Greatest Creator does not have the nature of matter, animals, humans, Buddha, or Gods. It is not at all correct to classify the Greatest Creator into any section of LIFE. If we were to say that a certain person has the nature of an animal, then we would be degrading him or her. To say that the Buddha has the nature of humans is to degrade the Buddha. Such would be the case to say that a God has the nature of Buddha or that the Greatest Creator has the nature of matter, animals, humans, Buddha, or a God. As a result, The Greatest Creator has no nature. The Greatest Creator is neutral. The Greatest Creator administers all things in the Universe with psychic energy. Such psychic energy is the Tao stated by Lao Tzu in his Tao Te Ching. 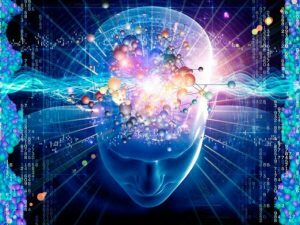 We can also understand psychic energy as the Consciousness and thinking of the Greatest Creator. Our bodies are fueled by blood, while the Universe is fueled by psychic energy, the consciousness and thinking of the Greatest Creator. Consequently, the intelligence of the Greatest Creator is actually the “blood” and vital force of the Universe. 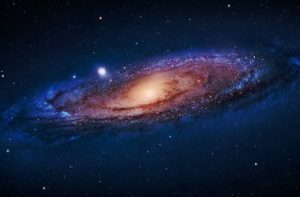 All human movements, including speaking, eating, sleeping, studying, working, and loving are based on physical instinct and human consciousness and all of the Universe’s movements, including the movements of celestial bodies, the continuation of the order of galaxies, and the life and death of all beings within it are based on the laws of physical movements and the psychic energy and consciousness of the Greatest Creator. The Greatest Creator does not reveal itself, instead, it reveals its psychic energy. The Greatest Creator has never favored or communicated with any group of people or given any special revelation directly to anyone. The intelligence of the Greatest Creator is permeated in every space of the Universe and in all the movements of matter. It is to be found in each of us. The Greatest Creator stays with the Universe, all things, and all people. 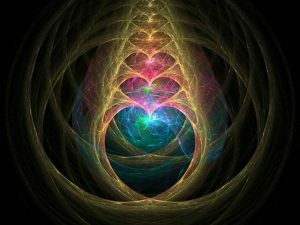 the psychic energy of the Greatest Creator – the consciousness, thinking, laws, Tao, “blood”, and vital force – is non-material and is dark energy that is invisible, intangible, and can neither be explained nor understood. Such non-material and dark energy perform their functions quietly and without evident appearance or symbols. Though it seems that non-matter and dark energy do not exist, they are actually objective existence, which is ubiquitous and strictly loyal to its nature at all times. Why do human bodies age and die? What leads to aging and death? No scientists, biologists, politicians, or religionists can answer these questions, simply because the Greatest Creator is mysterious. Since the Greatest Creator is unique, exclusive, amorphous, and neutral, it must also be impartial. If a court were controlled by a good judge, then every criminal would be punished, but if it were controlled by a bad one, many innocents would suffer. If it were controlled by proletariats, capitalists would have a hard time, and vice versa. If it were controlled by a God or Buddha, evil would be constrained, and so on. The neutral, unaffiliated, and non-party is the least partial. Sunshine is impartial because it casts itself on all people. The earth’s air is breathed by both good and bad people. Water, which is vital for LIFE, is abundant at a very affordable price to everyone. So the Greatest Creator is fair and impartial. If the Greatest Creator were biased and did not allocate the sunshine, air, and water this way, some people would control them just as they occupy the land and mines. How could the rest of us survive? The Greatest Creator is also impartial because everyone dies. If the privileged could live for thousands of years or even for eternity, the poor would be hopeless. Thus, any thought or practice which hopes to give immortality to a certain fraction of the people is in conflict with the impartiality of the Greatest Creator and can never be realized. All in all, the Greatest Creator is impartial. The success or failure of an individual, organization, or nation all rely on the balance of the Greatest Creator. It is only by forsaking ourselves that we can see the impartiality of the Greatest Creator. If we attempt to understand the Greatest Creator by focusing on our own interests, then we will never find this impartiality, or even a shadow of it. Knowing about the suffering that was experienced during World War II, some people have proclaimed that “The Greatest Creator is dead”, but this is slandering and desecrating the Name. To understand the Greatest Creator with human emotions is drawing a conclusion with incomplete data. If we judge the features of the Greatest Creator through the perspectives of life and death or from the difficulty and poverty of people, it would be like appointing a rat to be the Grand Judge of the Supreme Court of the world. Can we judge that the Greatest Creator is merciless when we see a diligent elderly lady suffering from paralysis on her bed before she dies or when we see kind and honest people suffering from misfortunes throughout their lives? Some people who are “born with silver spoons in their mouths” do not have any virtues, but they obtain power and wealth with ease. They do a lot of immoral things in their lives but die peacefully in their old age and have splendid funerals. Can we judge that the Greatest Creator is biased for those people and against good ones? 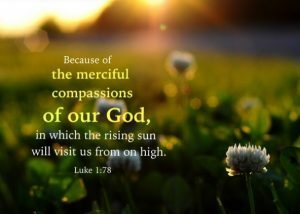 To understand the mercy of the Greatest Creator, we cannot use the right and wrong criteria of people. We have to make these judgments from the perspective of time-space, LIFE cycle, and the level of spiritual nature. In the eyes of the Greatest Creator, people are just in their childhood. 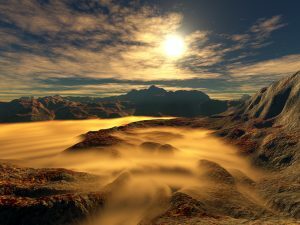 Suffering is imposed upon us by the Greatest Creator in the hope that we can find a better place after our death, either in the Thousand-year World, or at least that we can return to the mortal world after death and enter the Thousand-year World after further self-refining and self-improvement. This is why wise people regard the Greatest Creator as the merciful Heavenly Father. Judging from the perspective of people, the Greatest Creator is really merciless to impose suffering on the diligent elderly lady before her death, however, if we stand in the boots of the Greatest Creator, we will find the mercy. It would be totally brutal to end her suffering before her death. So the Greatest Creator is doing the same thing when imposing suffering on a good and honest person throughout their whole life because doing so is just to cultivate their virtues so that they will be qualified to enter the Thousand-year World. The Greatest Creator gives much consideration before imposing suffering and plight on good and honest people throughout their whole lives. To give lifelong fortune and happiness to a person sounds very attractive, but that person would really be over-consuming their blessings. The more you get, the more you will lose. Everyone knows that the higher one climbs, the more serious an injury they will suffer if the fall. Everything in the Universe follows the principle of the unity of opposites and in the end, your gains will equal your losses. The more you gain, the more you will lose and the less you gain, the less you will lose. An Indian religion advocates asceticism and it is not an ignorant practice. John D. Rockefeller, who earned wealth with oil mines, donated hundreds of million of dollars to charities and only kept a small part of his riches. He was not an old fool. The Kung Fu star, Jet LI donated his sponsorship income to the Temple, not because he had too much money to spend. They both understood what Tao is and they have possessed its wisdom. 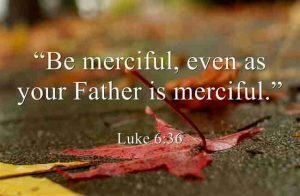 Can we still say that the Greatest Creator is not merciful? If everyone believed “the Greatest Creator does not exist”, then mankind would not exist either. The Greatest Creator is there because a large number of people believe in and admire it. Because of this, the Greatest Creator allows us to live on the Earth and hopes that we can follow, give up evil, and return the good. From this perspective, the Greatest Creator is very merciful. The Universe is the aggregate of all energy in which there is an energy cluster. The relationship of the aggregate to the energy cluster is the same as that of an egg white to an egg yolk. In this energy cluster (egg yolk), there is a very small energy embryo which also contains an even smaller nucleus. This nucleus is the nerve center of the Universe which is the causal body of the energy and the thought zone of the Universe. This is the Greatest Creator. Energy itself has neither thought nor consciousness. The mammoth energy emitted by nuclear bomb explosions can kill both “bad people” and “good people”. It can destroy Kings’ palaces as well as thatched cottages, simply because the energy does not have consciousness. Energy can be extremely powerful, but the thought behind it can be even more powerful, which means that the thoughts of the scientists who made the nuclear bombs were even more powerful than the bombs themselves. The small nucleus in the energy cluster, the nerve center of the Universe, which is the Greatest Creator, is even more powerful than the overall energy of the Universe. That is why we say that the Greatest Creator is supremely powerful beyond all energy. The macro-celestial moving order, such as the orderly movement of the Law-Rotary Galaxy, the Rotary-River Galaxy, and all the Star Systems within each. The micro-material structure order, such as the orderly movements of molecules, atoms, electrons, protons, nucleons, mesons, hyperons, and gluons. The order of LIFE transmigration, for instance when a person’s spiritual nature is upgraded to a certain level, they will become a Celestial Being or a God, but when their spiritual nature is downgraded to a certain level, they will become a dog, a pig, or a tree. If the person’s spiritual nature remains unchanged, they can become another person in their next life cycle. Such is the case with an ox, which can become a person or another animal when its spiritual nature is upgraded or downgraded. A Celestial Being can be upgraded to Buddhahood or downgraded to personhood. The LIFE Structure mainly refers to the genes of all LIFE forms. These genes, as with unexposed film, can be copied repeatedly. The genes of all LIFE forms (the films) are different from each other. The genes of human are different from those of pigs, those of cats are different from those of birds, those of willows are different from those of peach trees, and those of roses are different from those of peony. In general, genes are featured by the homogenous compatibility and hetero-nature repulsion. For instance, the Asian, African, and European lineages of our species have the same nature and are compatible with each other, so their members can interbreed and produce viable offspring, however, since human, animal, and plant genes are not of the same kind but are incompatible with each other, they can not mate, and even if they were to attempt to do so, new LIFE would never be generated. Though oxen, sheep, dogs, cats, pigs, chickens, deer, rats, snakes, and otters are all animals, they cannot mate and reproduce because their genes are not of the same type and have different characteristics. The great leader, Chairman Mao Zedong predicted the future development of more than twenty issues during his lifetime which later proved to be accurate. How? Because Mao Zedong had wisdom. Anyone who predicts future developments accurately is wise. The wiser they are, the more qualitative and quantitative will be the predictions that they give. Scientists are people of wisdom because they have created most of our inventions. Without wisdom, any activities would definitely become messy and disorderly. Everything in the Universe is logical and governed by natural law, and has its destiny from start to finish. So the wiser one is, the more one knows about the mysteries of the Universe. The Greatest Creator knows the past and future of everything, Gods and Devils know the movements and changes of many things, and the Buddha knows the past and futures of people. Confined by their genetic structures, human can never know everything. For instance, they can never know the last digit of π, or even whether it is cyclical or irrational.